The idea that Internet-based distance education offers the potential to globalize higher education has not been matched by significant interest in the pedagogical and methodological issues at stake. This essay discusses a two-year experimental course conducted between two college classes in Karlskrona, Sweden and Ohio, in the United States. The goal of this course was to use online debate to augment intercultural understanding. This experiment involved both synchronous and asynchronous computer mediated conferencing (CMC) as well as various types of assignments intended to emphasize the discursive strengths of each CMC form. We discovered, however, that our assumptions about CMC discourse were challenged by the way it developed in our international contexts. Ultimately, we developed and propose a methodology that delimits and makes productive the playful agnostics of synchronous debate by employing asynchronous conferencing for the pre-debate development of common ground and the post-debate development of formal arguments. Key Terms: MOO, asynchronous conferencing, international education, collaboration, conflict, argumentation, American studies. Davis, M. & Rouzie, A. (2002). Cooperation vs. Deliberation: CMC and the Problem of Argument in International Distance Education. The International Review of Research in Open and Distributed Learning, 3 (1),. Athabasca University Press. Retrieved April 18, 2019 from https://www.learntechlib.org/p/49525/. Sweden. (1986). The Swedish Immigration Board. Sweden: a general introduction for immigrants. Norrk¨oping: The Swedish Immigration Board. Trindade, Armando Rocha, Hermano Carmo & Jos´e Bidarra (2000). 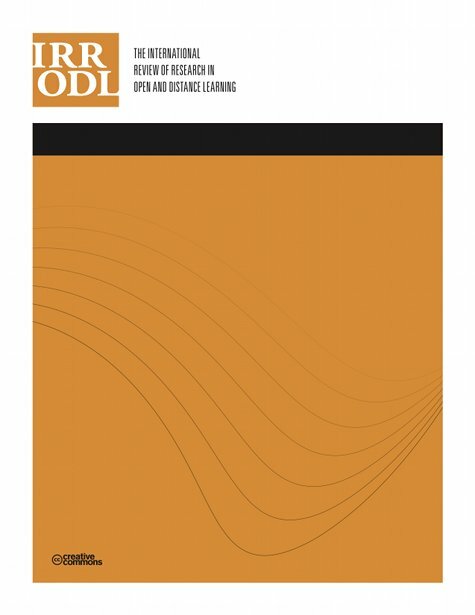 “Current Developments and Best Practice in Open and Distance Learning.” International Review of Research in Open and Distance Learning 1.1: P. 1-25. How do female students perform in online debates and discussion?